With his 30-year-old son Declan getting married last year to fiancée Jenny Gouk, Eamonn Holmes has already started thinking about what kind of grandparent if the couple welcome any future children. Speaking to Hello!, the 59-year-old revealed that he’ll be a ‘fun’ grandfather, which comes as little surprise to fans who love his humorous antics on This Morning alongside wife Ruth Langsford. “If it’s God’s will and there’s grandchildren then I would be the most fun granddaddy on the block!” said Eamonn. Admitting that her husband is also worried about feeling ‘old’, Ruth added, “He doesn’t like the thought of being a grandpa because it makes him feel old. With Declan’s busy career as an entrepreneur – and Jenny no doubt equally snowed under as a doctor! 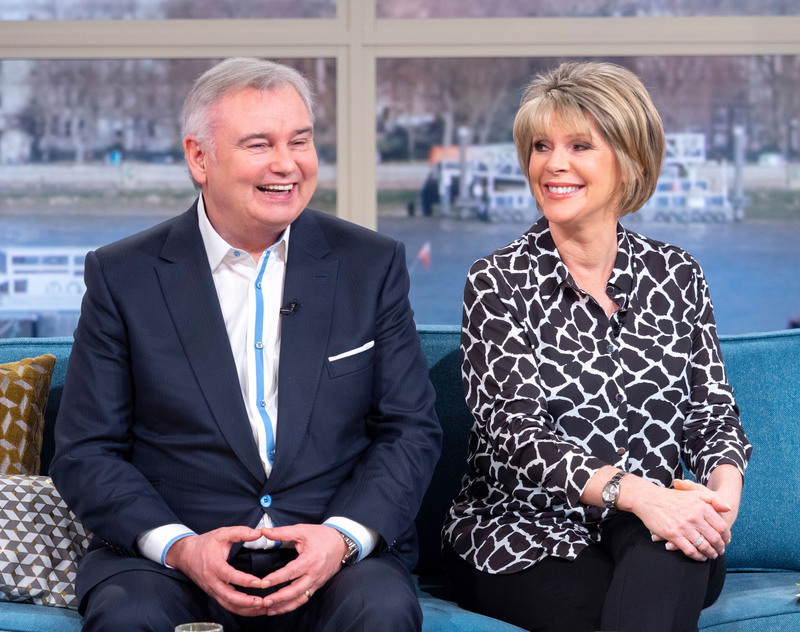 – there may not be a baby Holmes in the pipeline just yet, but we’re certain Eamonn and Ruth would make amazing grandparents. The presenting couple attended the wedding of Eamonn’s eldest son Declan last summer at the Castle Leslie Estate in Ireland, the same location of Paul McCartney and Heather Mills’ wedding in 2002. Declan is Eamonn’s eldest son with former wife Gabrielle Holmes. They also share Rebecca, 27, and Niall, 25. Eamonn and Ruth have one son together, Jack, who recently celebrated his 17th birthday. Many of Eamonn’s children joined him last year at Buckingham Palace, when he received his OBE for his services to broadcasting, from the Queen. On the day, Ruth revealed how ‘proud’ she was of her husband for the amazing achievement, writing, ‘SO proud of my husband @eamonnholmes who will receive his OBE for services to broadcasting today. Nobody deserves it more’.